You probably know a lot about Matthew McConaughey. You might have watched Matthew McConaughey movies and TV shows, but today, by the time you leave this page, I bet you’re going to discover one thing you didn’t know about McConaughey. Let’s start by taking a quick look at some of the news that’s been trending now on the internet about Matthew McConaughey? First, Ellen DeGeneres surprised Matthew David McConaughey when he appeared on her chat show on Friday. Ellen DeGeneres giving away Matthew McConaughey’s movie ‘Interstellar’ which was released in November this year (2014) turned out to be a shock to Matthew. Matthew McConaughey’s movie ‘Interstellar’ has been the talk in the past week. This movie was first premiered on 26 October 2014 in California and Los Angeles. It was then first released on November 5, 2014 (limited release) and it had a wide release on 7 November 2014. However, this movie is trailing behind the Big Hero 6 movie which was released on 7 November 2014. Big Hero 6 is one of the films that has received a lot of positive reviews. And on Monday, Matthew McConaughey revealed on PEOPLE Magazine that he cried three times when he watched his movie ‘Interstellar.’ He also revealed that he was left in tears when filming some of the scenes of this movie. From life experience in the outback, to an Academy Award for his film work, Matthew McConaughey is anything but your typical Hollywood star. To you, Dad, you taught me what it means to be a man. To my mother who’s here tonight, who taught me and my two older brothers’ demanded that we respect ourselves. And what we in turn learned was that we were then better able to respect others. For a glimpse into the man and what made him, take a read through some of the most interesting, important, and sometimes outright strange things that have made up the life of one of show business’s most talented stars. 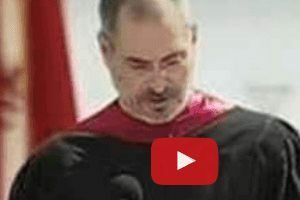 Many assume that Hollywood actors have it so easy, rarely have to finish school, and some people even like to think that the acting crowd aren’t the sharpest people out there. Well contrary to popular belief, most actors are actually highly intelligent, and in most cases well educated. Some of Matthew McConaughey Movies And TV Shows makes you wonder if this guy ever stepped inside a classroom. Surprise! McConaughey is a Graduate of the University of Texas in Austin, having earned a Bachelor in Radio Television and Film in 1993. 2.) Talk about Talent in the Family! Although McConaughey’s family made their living from his mother’s kindergarten teaching job and his father’s oil supply business, however his father’s career had the potential to go in a completely different direction. This is because earlier in his life he was drafted by the Green Bay Packers. Fans know Matthew McConaughey for his striking good looks as well as his acting prowess, but it wasn’t just Hollywood that noticed the potential in him. At Longview High School in Texas, McConaughey was selected by his peers as the Most Handsome Student during his senior year. Although he hadn’t always dreamed of being involved in show business, Matthew McConaughey always knew that he wanted to do something grander than following the logical path to his father’s oil supply business. In an effort to build his experiences and get perspective on what he wanted to do, Matthew enrolled in an exchange program and lived in Australia for a period before he started at the University of Texas. Before McConaughey settled on his Film major, he had plans to study pre-law at the University of Texas in Austin. When he started at the university becoming a criminal defense lawyer was his top priority. Somewhat coincidentally he would go on to play the role of such a lawyer in two of his most popular films. Matthew’s first prominent role was the 1993 coming of age movie, Dazed and Confused. The film has become a cult classic, and it’s especially noticeable for featuring a large ensemble cast of actors who would later achieve massive Hollywood success. Some of Matthew’s fellow cast members include Milla Jovovich and Ben Affleck. The role that shot Leonardo DiCaprio to superstardom in one of the biggest films of all time was almost McConaughey’s. During casting for the film Titanic, Matthew McConaugheywas one of the front runners for the co-lead alongside Kate Winslet. It wasn’t to be though, and the producers ultimately opted for DiCaprio. Probably you didn’t know that Matthew McConaughey took his time to marry. In fact, it’s Matthew McConaughey’s wife who pressed him into marriage. Matthew’s wife is a designer and a model. When did Matthew McConaughey and Camila Alves meet? They met in 2006 and thereafter they engaged in 2011, on Christmas day. They wedded in 2012 Texas (in Austin where they stay). Just in case you didn’t know, Matthew McConaughey’s wife wedding dress was not bought in U.S. but it was handmade by a designer from Brazil. 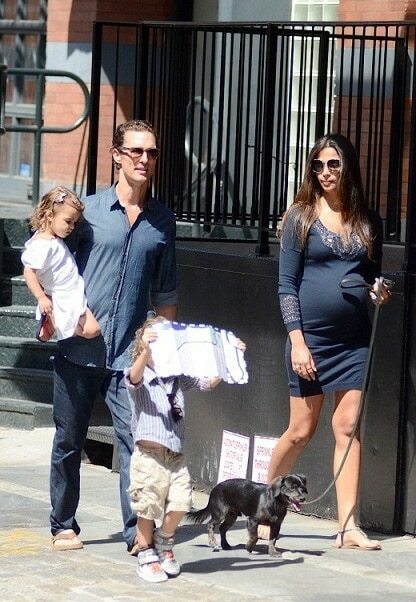 Matthew together with his wife Camila Alves, they have three kids. Matthew McConaughey’s kids are: Levi Alves, Vida Alves and Livingston Alves. Matthew McConaughey is the epitome of the anti-star, even keeping his family life and his children out of the Hollywood spotlight. McConaughey was honored with a wax statue in his likeness, which is currently on display at Madam Tussauds wax museum in Las Vegas where it has stood since 2007. As if to validate his selective choices and short sabbatical from mainstream acting, Matthew McConaughey was honored by the Academy of Motion Picture Arts and Sciences with the Best Actor award for his role in 2013’s Dallas Buyers Club. There is someone who had asked this question, “Should I try the Matthew McConaughey diet?” What made him to ask this question? This question was asked after Matthew had lost weight to take a role in the film ‘Dallas Buyers Club.’ What was his diet that made him to lose weight, about 38 lbs? My best quality is that I’m a big hearted person. I’m resilient, too. My worst quality is selfishness, although everyone is guilty of that to an extent. Everyone should be, I think — you need to respect yourself. Matthew McConaughey net worth being 75 million U.S. dollars in 2014, he is a big star with a big heart also. Many would describe him as an activist, especially considering he’s a star who loves to get involved in charities and groups to help young Americans. Taking things a step further than the average celebrity, McConaughey founded the Just Keep Livin’ Foundation. This is an organization that encourages high school students to live more active lives and make positive healthy choices that will have a knock on effect to benefit them throughout life. He once turned down a $15 million paycheck. Even though he has starred in blockbuster films like How to Lose a Guy in 10 Days that grossed over $100 million in the U.S. alone, Matthew is also known for taking on smaller roles, and sometimes turning down films when he felt the timing wasn’t right. He turned down a role in a remake of Magnum P.I. where he would have taken a minimum $15 million paycheck for the project. His quiet calculation has worked out for him however, allowing him to take on critically acclaimed roles in Dallas Buyers Club and the HBO series True Detective. Dazed and Confused, is a film that gained him a breakthrough. Texas Chainsaw Massacre: The Next Generation. The Lincoln Lawyer, a film that is adapted from The Lincoln Lawyer novel. You can also watch on YouTube Matthew McConaughey’s commercial ads, like the one he did for Lincoln car. Matthew McConaughey’s career has had its ups and downs, and even if it hasn’t all been smooth sailing there is no denying that he is now riding a wave of success. His latest role in Christopher Nolan’s Interstellar would probably not have been possible if he didn’t build his reputation in the films that he carefully selected for artistic merit over a paycheck. There’s no denying that Matthew McConaughey is one actor who has had an interesting and rewarding life, and at 45 years old, it looks like he isn’t even close to reaching his peak.